How did tourism in Antarctica begin? Tourism to Antarctic coastal areas began in the late 1950s with Chile and Argentina carrying a few hundred fare-paying passengers to the South Shetland Islands. The first expedition to Antarctica with travellers was in 1966 and was lead by Lars Eric Lindblad. The modern expedition cruise industry was born shortly after, in 1969, when Lindblad built the first expedition ship MS Explorer. Since 1970 tourist expeditions have regularly ventured to Antarctica every year. Is tourism to the Antarctic regulated? All human activities in Antarctica are regulated by the Antarctic Treaty and its associated measures, including the Protocol on Environmental Protection to the Antarctic Treaty. 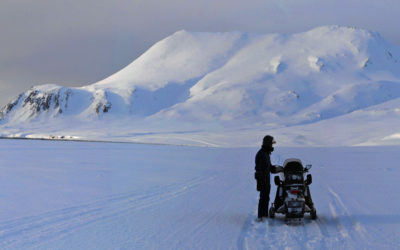 The industry is largely managed by the International Association of Antarctica Tour Operators (IAATO), which was founded in 1991 by seven private tour operators involved in Antarctic tourism. It is now an organization made up of more than 100 member companies that aims to advocate and promote the practice of safe and environmentally responsible private-sector travel to the Antarctic. How many tourist ships operate in Antarctica? In 2016/2017, a total of 65 vessels are registered with IAATO for travel to Antarctica. CR = – Vessels that carry more than 500 passengers and do not make landings (cruise only, six vessels). YA = Sailing or motor yachts that carry 12 or fewer passengers (22 vessels). How many tourists visit Antarctica each year? Tourism has grown from a few hundred at the beginning of the tourist industry in the 1950s to a total of 38,478 visitors in 2015-2016. It is expected to increase in line with worldwide trends, but is strong correlated with global economic activity. 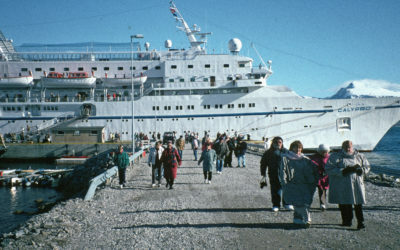 The majority (>75%) of visitors experience Antarctica on ships making landings on the Peninsula. Most of these depart from ports in South America, but some (approx. 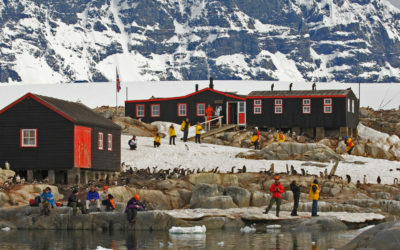 6%) fly to the South Shetland Islands where they immediately board a ship for onward excursions. Around 1% of visitors fly in to the Antarctic interior each year. Check the IAATO website for current tourism statistics and trends. Which part of Antarctica do tourists visit? Antarctic visits generally concentrate on ice-free coastal zones over the five-month period from November to March. Most vessels sail to the Antarctic Peninsula region although some itineraries include South Georgia and the Falkland Islands. A small number of tourist expedition ships visit the Weddell Sea, the Ross Sea region and East Antarctica, as well as many of the other sub-Antarctic islands (eg Snares Islands and Macquarie Island). Private expeditions also visit inland sites, including Mt Vinson (Antarctica’s highest mountain) and the geographic South Pole. What tourist activities are involved? Activities include sightseeing ship-based cruises, visits to operational scientific stations and historical huts, small boat cruising, visits to wildlife sites and other wilderness sites, hiking, kayaking, mountaineering, camping and scuba-diving. The majority are ship or yacht based and a small proportion land-based in temporary field camps. geologists, glaciologists, historians, and naturalists. IAATO Members also operate with codes of conduct that limit approach distances and behaviour in the vicinity of wildlife aggregations. In addition, the Antarctic Treaty Consultative Parties have adopted a series of Site Guidelines for Visitors for the most visited sites in Antarctica. Can tourists visit BAS stations in Antarctica and South Georgia? BAS welcomes a small number of visits to its stations from IAATO affiliated companies during the Antarctic summer. Small groups are given a guided tour of the facilities, where they have the opportunity to learn about the world-class science undertaken by BAS, and the logistics that support it.